Katie and Allie Buryk lived with strange symptoms for years before learning they had Tay-Sachs disease. Now, the young women are devoted to raising awareness of the disease, and finding a cure. Katie and Allie Buryk were visiting their parents when the twins noticed they both needed to use their hands to push themselves up from a seated position. They didn't have enough strength in their legs to stand without that extra push. They were just 23 years old. Their parents found the quirk odd — and concerning. Soon, both Katie and Allie had scheduled appointments with doctors to discuss their symptoms, which also included surprising falls and, in Katie's case, tremors and difficulty walking as quickly as her friends. Doctors were initially stumped, reports The New York Times. So as the sisters pursued careers and independence, they continued to pursue an answer to their progressively worsening symptoms. Finally, after years of appointments and tests, including a trip to Mayo Clinic for Katie, genomic testing revealed the answer. 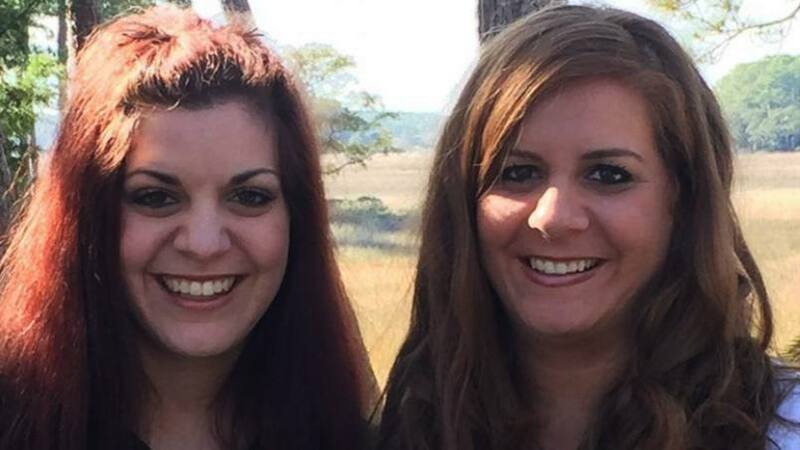 Both women had late onset Tay-Sachs disease, "a rare inherited disorder that causes progressive neurological damage," according to Mayo Clinic's Individualized Medicine blog. Mayo Clinic neurologist Marc Patterson, M.D., and his colleagues confirmed the diagnosis, reviewing "the sisters' genetic tests results and clinical information" and suggesting "strategies to manage the twins' symptoms," the blog reports. The diagnosis was both devastating and something of a relief. "I was glad to have a diagnosis because in my mind I knew something was wrong," Katie says. And while she has shed her share of tears over the diagnosis and her uncertain future, she's also been galvanized into action. As the Times reports, "by the time Katie told her parents, she was done crying" and "had a plan." Since Tay-Sachs is so rare — fewer than 100 cases are diagnosed worldwide each year — there are few people studying the disease and little money devoted to finding a cure. So "Katie and her sister decided to raise money for a research fund," collecting more than $400,000 since 2014. A family friend also made a donation to Mayo Clinic to fund research on Tay-Sachs and related disorders. "There are more than 5,000 rare diseases that affect 25 million people in the U.S. Because disorders like Tay-Sachs are so rare, symptoms are often missed," Dr. Patterson says. "Mayo Clinic researchers are working every day to find therapies for diseases for which there are no treatments, aiming to be the bridge from hope to healing." Katie and Allie had a chance to see that firsthand last fall when the sisters, now 29, attended Mayo Clinic's Individualizing Medicine Conference. They shared their story at the event, using their voices to raise awareness about the disease and push for more research. "A hundred years from now, when I'm not here, I know my name will come up [regarding Tay-Sachs]," Katie recently told Celebrate Hilton Head. Though she knows a cure is unlikely in her lifetime, she tells the publication that her goal is to "put up a big enough fuss" to create awareness. "I feel like it's started something. Our family has opened the door for other people. I have my life, and I have a voice to speak up." You can watch Katie and Allie talk about living with Tay-Sachs here. Then leave a comment below before using the social media tools atop this page to share this story with others. Learn more about Mayo Clinic's Center for Individualized Medicine.